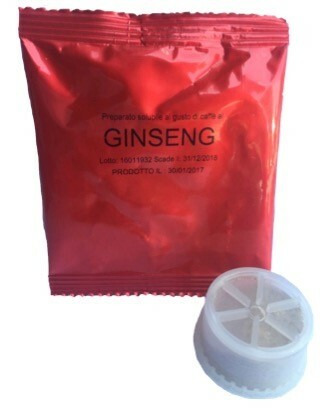 Pack of 50 ginseng FAP coffee capsules. Compatible with the most common capsule espresso machines. Ingredients: sugar, powdered glucose syrup, skimmed milk powder, refined coconut vegetable fat, soluble coffee, milk protein, ginseng extract, stabilizers: E 340 ii, E 452i, emulsifiers: E 471, salt, flavorings, agglomerating agent: E 341 iii. It may contain traces of: nuts, eggs, soybeans.